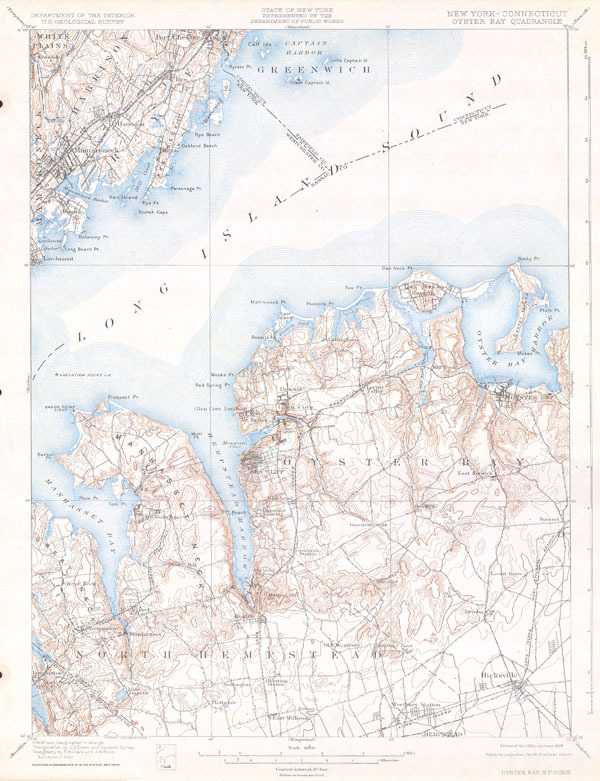 This beautiful and fascinating topographical chart depicts the Long Island, New York region of Oyster Bay, including North Hempstead, and across the Long Island Sound, parts of Mamaroneck, Harrison, and Rye. Highly detailed with important buildings, and trains and rail lines. A rare and stunning geological survey of this highly populated region. From the 1928 reissue of the Feb. 1900 charts.